The average cost of memory care in Riverside County is $4,046 per month. This is lower than the national median of $4,650. To help you with your search, browse the 107 reviews below for memory care facilities in Riverside County. On average, consumers rate memory care in Riverside County 4.5 out of 5 stars. Caring.com has helped 24 families in Riverside County find high-quality senior care. To speak with one of our Family Advisors about memory care options and costs in Riverside County, call (855) 863-8283. As of the 2010 census, Riverside County was the fourth most populous county in California, with 2,189,641 residents, 14.1 percent of whom were 65 or older. By 2015, as many as 9.2 percent of these seniors had Alzheimer's disease or another type of dementia. For families in the area who are considering memory care for a loved one diagnosed with dementia, Riverside County has 39 facilities at the ready. 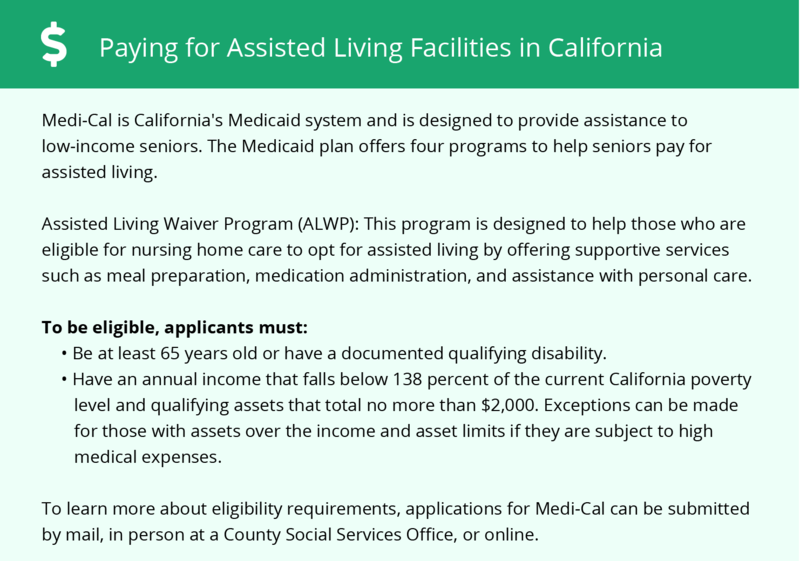 Seniors and their families may see these facilities referred to as Residential Care Facilities for the Elderly (RCFEs), which is their official name in California. Riverside County is home to world-class medical facilities, including those specializing in brain health and neurodegenerative disorders such as Riverside Community Hospital, in the event of medical emergencies or illness. Memory care facilities may have outdoor areas where their seniors can exercise or just enjoy Riverside County's pleasant climate, which is semi-arid, with warm summers and mild winters. In a typical year, the county gets only 11 inches of rain. The average high temperature in July is 92 degrees, and the average low temperature in January is 42 degrees. Crime rates in Riverside County are above the national average. On a scale of one to 100, property crime in the county is 47.7, and violent crime is 49.9, compared to the U.S. averages of 38.1 and 31.1, respectively. Families who are concerned about crime can ask memory care facilities what precautions they take to keep the premises secure and prevent seniors from wandering away. Riverside County receives one of the worst ratings of any county in the U.S. for its air quality. Seniors with pre-existing respiratory problems may want to limit the time they spend outside of their memory care facilities. Memory Care costs in Riverside County start around $4,046 per month on average, while the nationwide average cost of memory care is $4,800 per month. It’s important to note that memory care rates in Riverside County and the surrounding suburbs can vary widely based on factors such as location, the level of care needed, apartment size and the types of amenities offered at each community. Riverside County and the surrounding area are home to numerous government agencies and non-profit organizations offering help for seniors searching for or currently residing in an assisted living community. These organizations can also provide assistance in a number of other eldercare services such as geriatric care management, elder law advice, estate planning, finding home care and health and wellness programs. To see a list of free memory care resources in Riverside County, please visit our Assisted Living in California page. 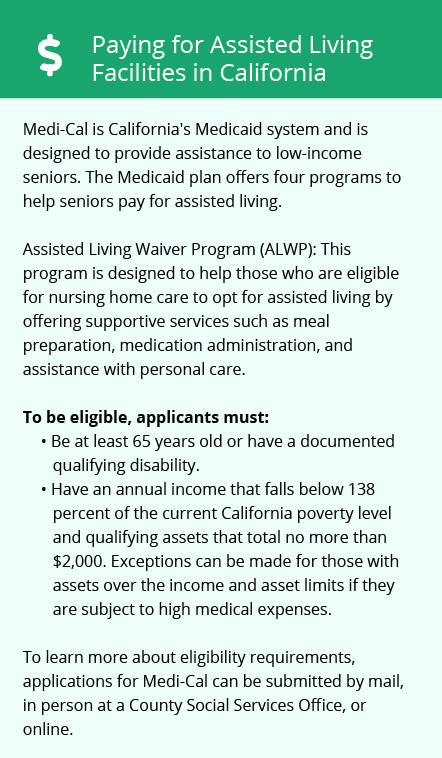 Riverside County-area assisted living communities must adhere to the comprehensive set of state laws and regulations that all assisted living communities in California are required to follow. Visit our Memory Care in California page for more information about these laws.